Barron’s recounts an incident in which the presidential candidate attacked an unknown securities analyst who didn’t think the Taj Mahal was a good bet for his clients. 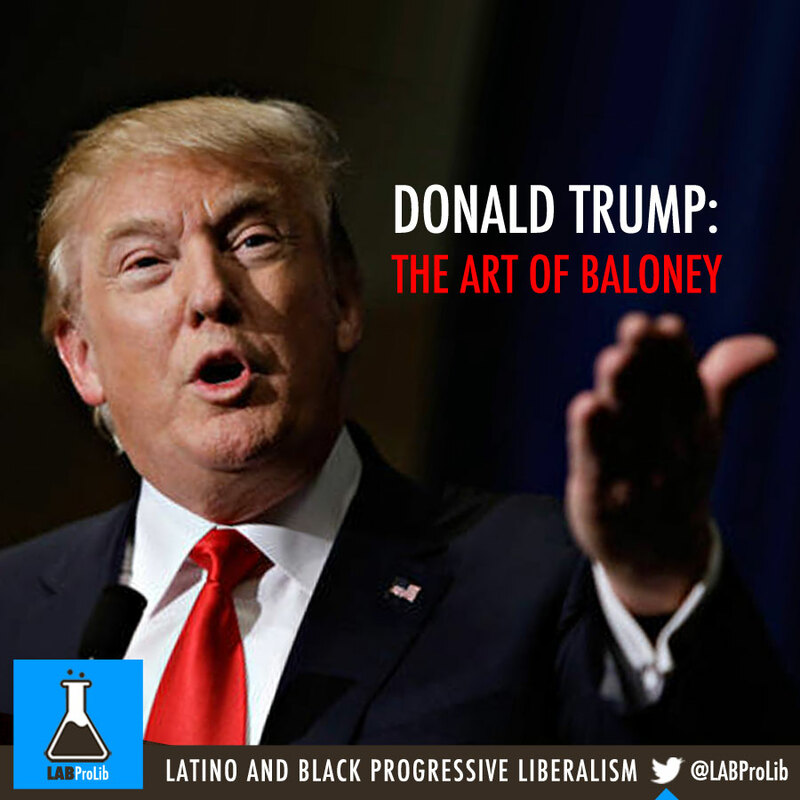 If there were ever a Teflon presidential candidate it would have to be Donald Trump. He has not only gotten away with insulting many of his fellow aspirants for the GOP nomination, offending one of the fastest-growing population groups in America (Hispanics), and dissing the clarion voice of Conservative America (Fox News), but the moves have added to his smack-down, reality TV popularity with a large segment of the American Public. Perhaps his constant self-preening and simplistic policy ideas delivered with country-club locker room bravado will wear thin with the electorate as the campaign drags on. At least that’s what many pundits, heretofore wrong, have been predicting. But Trump continues to run ahead in almost all of the major Republican polls, testament to voter disgust over the dysfunction in Washington and distrust of politicians in general. Barron’s isn’t going to join the many attempted media takedowns of Trump by unearthing new details about his business and personal life. They, so far, have only seemed to add to his celebrity and popularity. But we would like to revisit an incident dating back to the early-1990s that, we feel, reflects on his character. That was when he unleashed a brutal personal attack on an obscure gaming-securities analyst, Marvin Roffman, who toiled for a midsize Philadelphia brokerage house, Janney Montgomery Scott, leading to Roffman’s unceremonious sacking. Trump hardly exhibited the grace under pressure that befits someone aspiring to the presidency. We e-mailed both the Trump Campaign Office and Trump Organization early last week to talk about the incident. The campaign office acknowledged receipt but didn’t follow through on a promise to get back to us. The Trump Organization did not respond. Roffman’s sin was to express skepticism about the financial prospects of Trump’s Taj Mahal in Atlantic City, N.J., to The Wall Street Journal just prior to its opening April 4, 1990. It wasn’t as if this were the first time Roffman had badmouthed the Taj. He’d been sounding warnings on the giant casino ever since the Trump entity issued $675 million in junk bonds at an interest rate of 14% so construction could be finished. For a time in early-1990, the glitz of the project (Trump’s publicists dubbed it the “Eighth Wonder of the World”) and the magic of the Trump name helped drive the bonds’ price to be valued at 101 cents on the dollar. But Roffman had been advising investors to sell the bonds virtually from their date of issue all the way up to his firing, when the bonds had sunk to around 80. He reasoned that the Taj couldn’t earn enough revenue to cover the interest. And he proved right. The Taj defaulted on its first interest payment in October 1990, driving the bonds’ price down into the 20s. This pushed the Taj into filing a Chapter 11 bankruptcy reorganization the following spring. Barron’s feels a measure of proprietorship over the Roffman affair. Little more than a week after Roffman’s March firing as an analyst, our longtime columnist and editor Alan Abelson penned a cover story deftly lampooning Janney for its pusillanimity and Trump for his loutish behavior. The story set the tone for much of the media coverage that followed. We contacted Roffman last week, who in the wake of his firing became quite successful. He founded a financial advisory firm in 1991 that ran more than $500 million by 2007 at his retirement. The 76-year-old now lives in a 15,000-square-foot mansion featuring extensive gardens and 40 rooms in the Delaware resort town of Rehoboth. By chance, Roffman didn’t see the article that morning because he was driving from Philadelphia to Atlantic City to take a personal tour of the Taj arranged by Trump. He only found out about the quote when he was met by Robert Trump, Donald Trump’s brother, in the lobby of the Trump Organization office building and, according to a book Roffman wrote four years later called Take Charge of Your Financial Future, was told to leave the property immediately. Minutes later, when he called the Janney headquarters, he was told to return to the office immediately and was faxed a letter management had received from Donald Trump earlier that morning. In it, Trump expressed “outrage” at Roffman’s disparaging remarks about the Taj and said that he’d long considered Roffman “an unguided missle (sic)” as an analyst. Trump added that he was “planning to institue (sic) a major lawsuit against your firm unless Mr. Roffman makes a major public apology or is dismissed.” Trump has disclaimed any intention of getting Roffman fired and merely wanted him to be more circumspect in communicating his negative views on the Taj. Upon his return, Roffman was ushered into the office of the firm’s co-chairman Edgar Scott Jr., who, according to Roffman, had shed his usually patrician manner to read Roffman the riot act. Roffman was told that he could no longer talk to the press and was expected to draft and send a letter of apology to Trump the following day. The next day Roffman was fired not, Janney officials insisted, as a result of pressure from Trump, but for insubordination in sending out his retraction without the firm’s authorization. (A Janney spokesman said last week that “this news is from over 20 years ago and none of the individuals involved in this issue are at the firm today.”) Roffman, naturally, was crushed by his firing after 30 years of working as a Wall Street analyst. In July 1990, he filed legal actions against Janney and Trump. His only recourse against his former employer was an arbitration claim for wrongful discharge to the New York Stock Exchange. But he charged Trump in federal district court in Philadelphia with defamation and interference with Roffman’s contractual relationship with his employment by threatening legal action if Roffman didn’t apologize for his WSJ remarks. In the latter action, he sought $2 million plus punitive damages. Both costly cases dragged on for months. Even Roffman’s personal life seems to have been fair game. He relates in his book that the Philadelphia police contacted him at one point, stating that neighbors had reported people rifling through his garbage cans. The cases ultimately settled the following year. In March, the NYSE arbitration panel awarded him $750,000. And in July, he and Trump finally settled shortly before the case was scheduled to come to trial for an undisclosed amount.